Going into this game the Warriors received a boost with the win over leaders Cowdenbeath that showed some of the form of earlier in the season and should have boosted confidence in the ranks. The Shire though these days are a far better team than in previous seasons and were also challenging for a play off spot and were always going to be a tough proposition and so it proved. 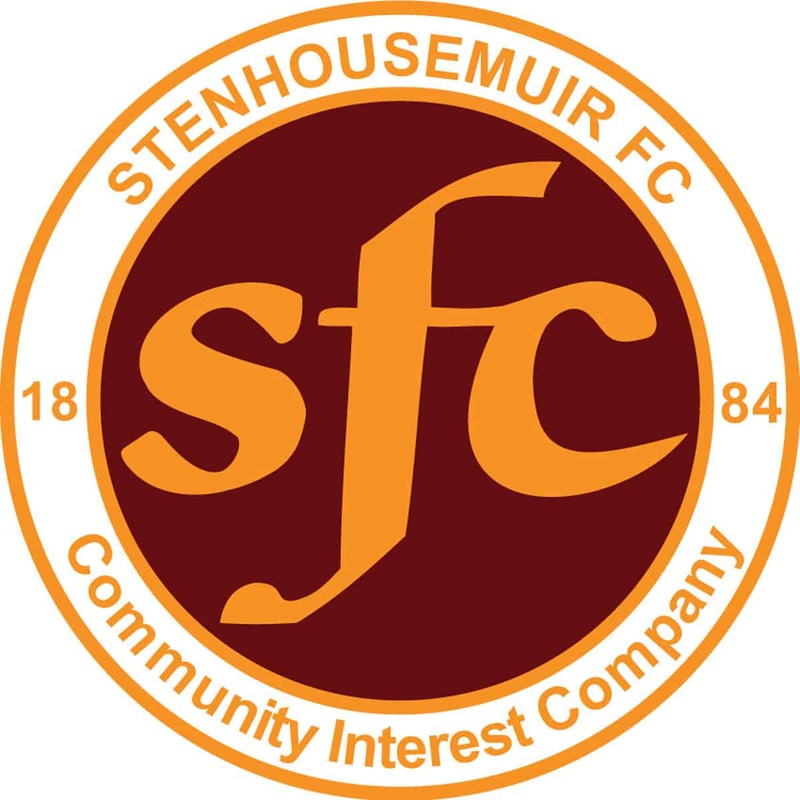 Stenhousemuir made several changes with Jordan Smith replacing the suspended Chris McLeod, and Paul Tyrrell along with Iain Thomson coming into the starting eleven for Alan Morgan and Scott Dalziel. This meant that there were no fewer than five ex-Shire players in the Warriors ranks namely McGroarty, Smith, Tyrrell, Diack and Brand. In these games of late the Shire have started brightly without always getting their reward and they created the first chance in the 2nd minute when Brian Graham headed over a Jamie Stevenson cross. In the 4th minute they took the lead through a Craig Donaldson thunderbolt that was in the back of the net before Scott Bennett could move. In the 13th minute the Warriors equalised with their first real attacks, Brank and Diack linked up for a one two that ended with a fine stop by keeper Mark Peat but from the resultant Thomson corner Kevin Motion stooped to head home against the run of play. Diack forced Peat into another save shortly afterwards but the tide was to move Shire’s way again as the game progressed. Scott Bennett was only able to stop a Sean Anderson effort at the second attempt before he was beaten again in the 31st minute when a defence splitting pass by Paul Weaver picked out Graham and he touched the ball past the keeper into the net. The Shire began to run riot after this and a swerving freekick by Stevenson was superbly tipped over by the keeper. That stop was one of the saves of the season but somehow he topped that with a world class save with a one handed effort to deny Anderson from close range. The Shire were not to be denied though and they scored their third in the 41st minute when Graham scored his second as he latched onto a Stevenson pass and crashed the ball into the net off the post. The start of the second half saw the Warriors bring on debutant Andy Ferguson on loan from Alloa for Chris McGroarty who had taken a knock in the first half but may also have been a tactical substitution as well as it added more firepower to the ranks. Stenhousemuir almost got back into the game in the 49th minute when Motion struck the post with a 25 yard freekick but that was to be a false dawn as the Shire began to dominate once again and they created a number of chances before their scored their fourth in the 62nd minute through a superbly struck freekick by Stevenson that gave Bennett no chance of stopping. After this it was just a case of whether the Shire would score more goals as they created a number of chances but somehow the score was kept at four and in fact it was the Warriors that came closest to adding to their tally in the last minute when a Diack effort saw Peat save one handed. This was probably the most outplayed that the Warriors have been this season and in all honesty the score could have been much worse with the Shire having no fewer than twelve efforts on target and at least another three that went just the wrong side of the woodwork.